The fitness pants are fully lined with an elastic waist and draw cord, with air vents on the side seams and two side pockets. 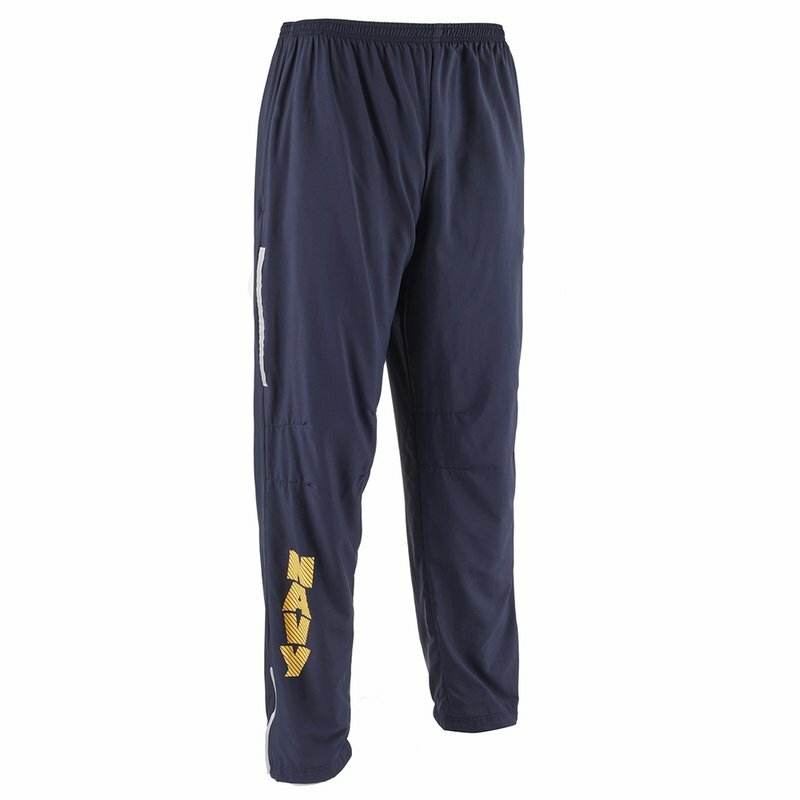 The right pant leg will have a vertical gold non reflective NAVY logo. The waistband should rest at the natural waist.The pant should fit without tightness in the thighs and allow for movement. The pant should be long enough to cover the top of the sneaker.